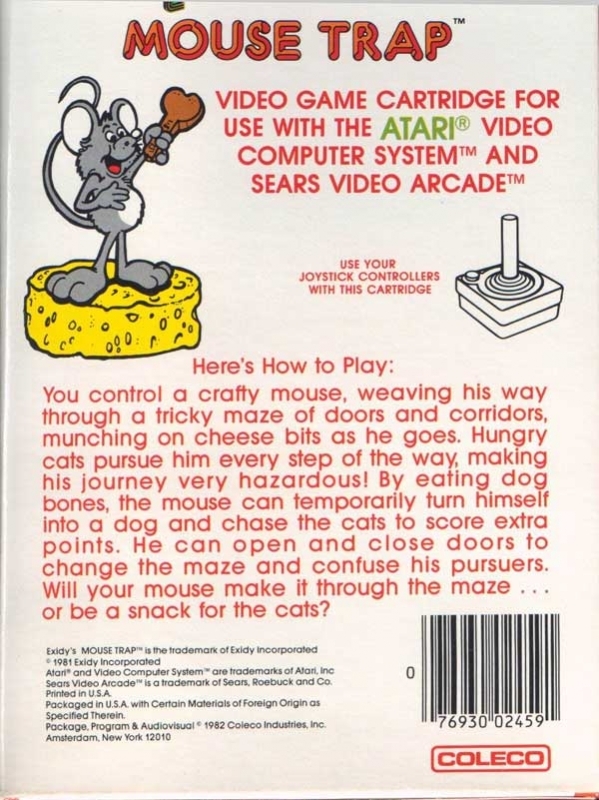 You control a crafty mouse, weaving his way through a tricky maze of doors and corridors, munching on cheese bits as he goes. Hungry cats pursue him every step of the way, making his journey very hazardous. By eating dog bones, he can temporarily turn himself into a dog and chase the cats to score extra points. 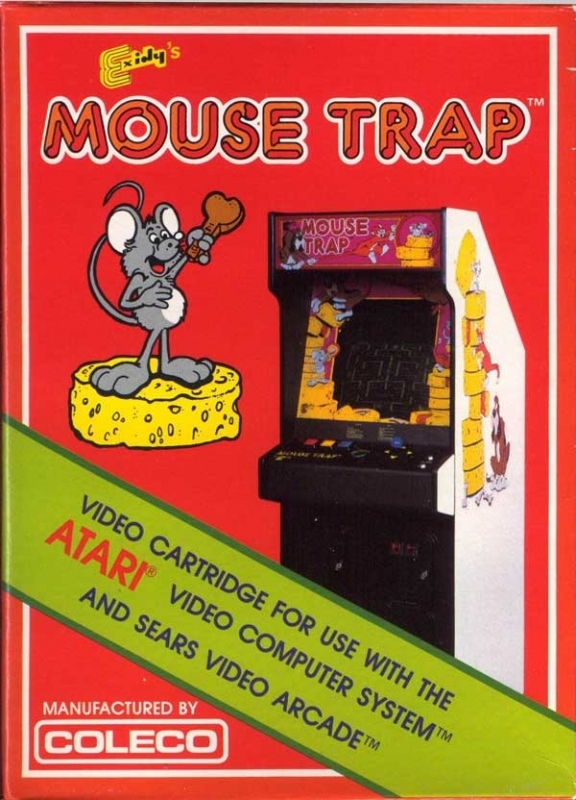 The mouse can open and close doors to change the maze and confuse his pursuers. There are lots of strategic moves to make. Will your mouse make it through the maze... or be a snack for the cats?